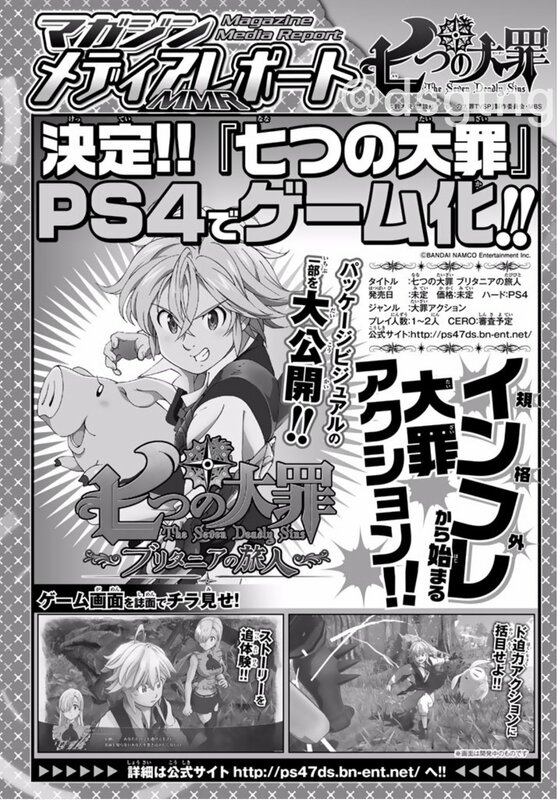 Action game due out from Bandai Namco. 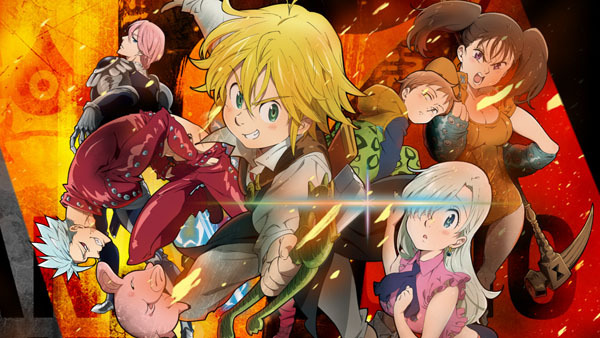 Bandai Namco is developing a PlayStation 4 action game based on The Seven Deadly Sins manga called The Seven Deadly Sins: The Britannian Traveler, the latest issue of Weekly Shonen Magazine reveals. The magazine features two screenshots and the game’s box art. Further information was not shared. Update 06/27/17 at 6:55 a.m.: The teaser website is available here and will open on June 28 at 10:00 JST.